What's your favorite Christmas tradition? Mine is setting up our Christmas Tree; hanging balls, ribbons and colorful blinking lights while holiday songs fill the air. It's my favorite childhood Christmas memory! The gifts under it and in my Christmas stocking were just an icing on the cake! :) This year, since I am away from home (again! ), I couldn't build and decorate our artificial tree, but I got to experience another Christmas tradition for the first time! 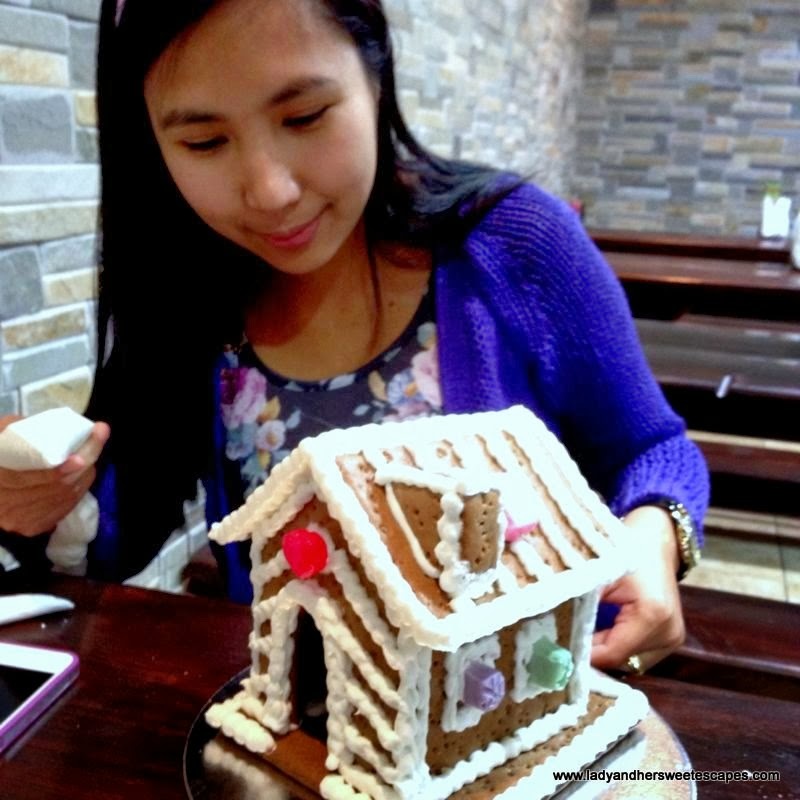 I built my own gingerbread house! In Europe, it has been a tradition for families to build a gingerbread house days before Christmas. 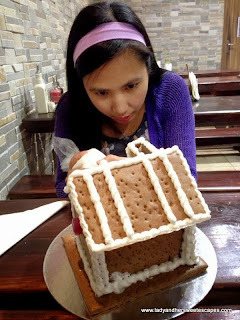 It is a Christmas decoration made by children using hard gingerbread as the house's walls and roof, white sugar icing as the snow, and variety of candies to make it just like the witch's house in the novel "Hansel and Gretel". Bacolod Chk-N-BBQ House has an ongoing "Build Your Own Gingerbread House" event. It started last November 29 and will end on December 20, 2013. 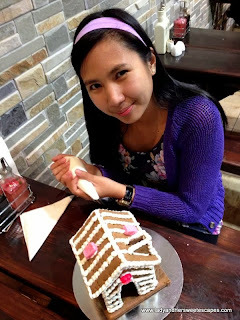 Gingerbread House Kits are available at the restaurant and the staff are always willing to assist first-timers like me! 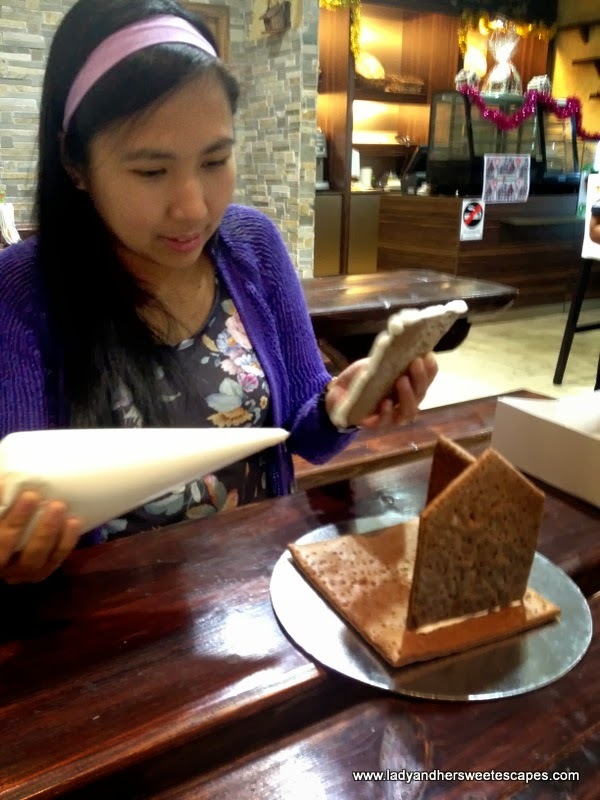 I built my Gingerbread House right after we had another hearty inasal dinner. I received a box filled with hard gingerbread pieces, sugar icing in a plastic piping tube and candies. 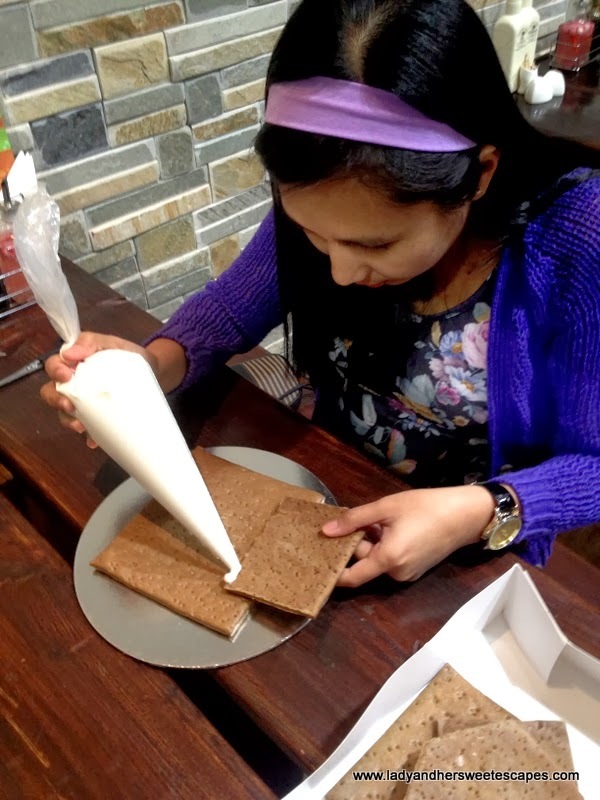 Since I'm not into baking, it wasn't just my first time to build one, it was actually my first time to use an icing tube! I stared at my kit and thought, "uh oh, I might create a disaster here!" But then, I took all the help I can get from the restaurant's staff. They gave me a step-by-step guide and placed a model house for me to follow. I slowly and seriously assembled each part. They said I can display the house for a year, but that wasn't quite a part of my plan! 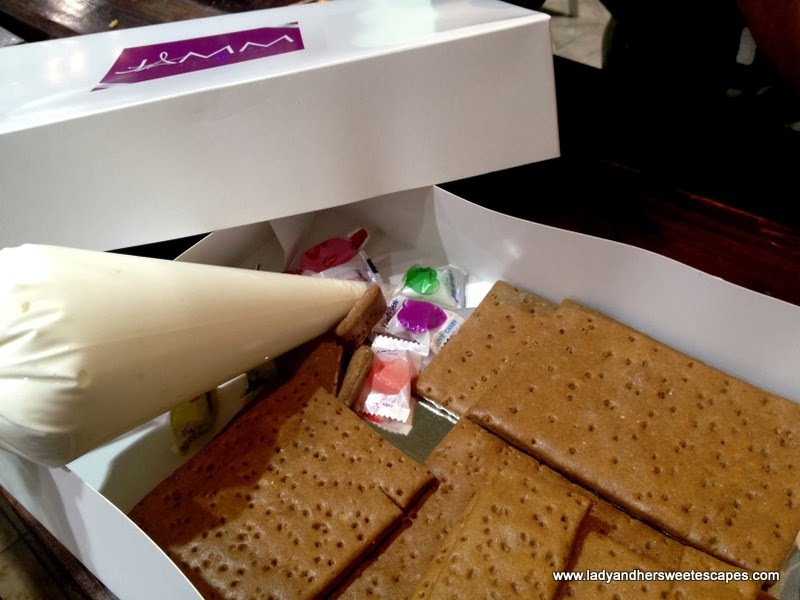 The gingerbread smells so good, I had to stop myself from nibbling some of the parts while I was working on it! I knew, I'd eat my masterpiece the moment I got home! I even blurted out loud: "lagot sa akin to pag uwi". Hahah! I was not able to make the snow-like-drippings on the roof. Blame it on the big hole that I made at the tip of the icing bag. Though my gingerbread house didn't look as good as the model house, I'm so happy with my edible artwork. This isn't a part of my Christmas tradition, but I'd love to do this year after year! Wow, that's great to hear. :) Thanks Mich! This is so much fun to do! I did once a chocolate house and the end-result was really stunning especially when I added all the trimmings! Hehehe! Little Matt will love building and eating it for sure. Ganda in fair! Hindi naman mukhang beginner! 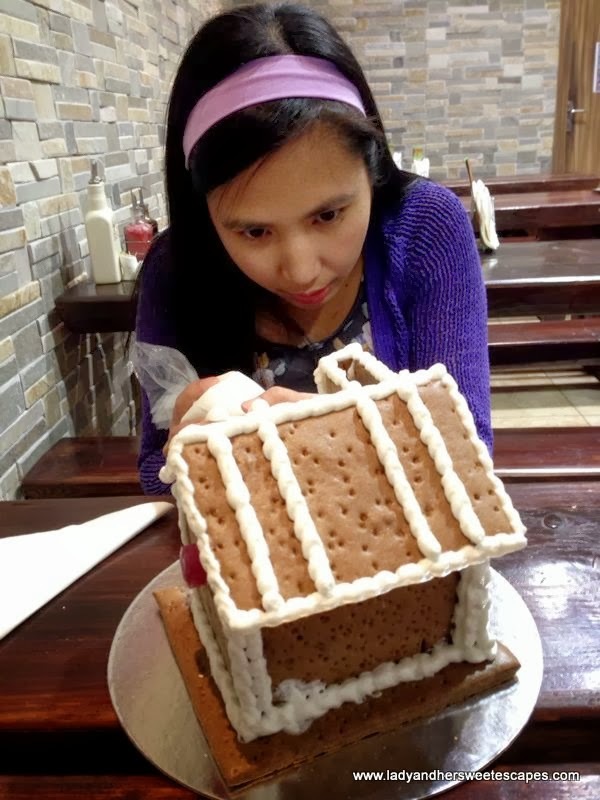 :D I've never tried building a gingerbread house. It looks so fun! That's so fun making your own gingerbread house. I haven't tried that as yet with the kids. Cute. For a first timer, you are good! So, did you eat it when you got home?